Tree Hooked invites mixing and matching. 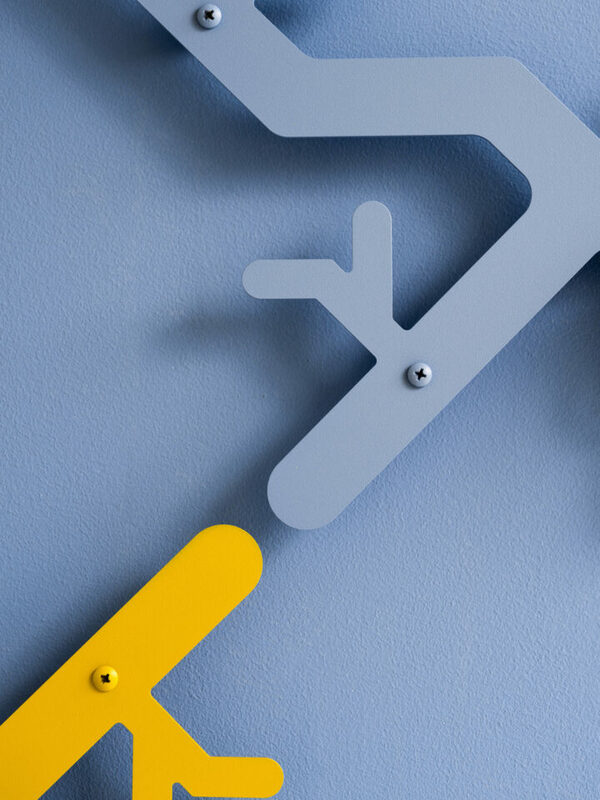 Combine various colours of the wall mounted coat rack to create a playful pattern on the wall. Varying the height, so that the coat rack can accommodate people big and small. Tree Hooked does not take up much space, but offers a lot of hanging space. 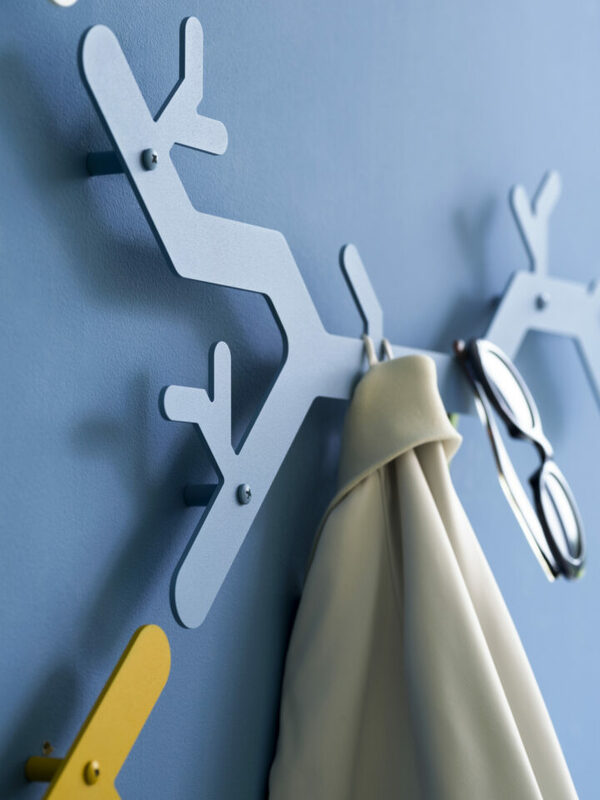 The playful coat rack sits slightly away from the wall. Tree Hooked likes company. Mount several coat racks as a single unit. Wall coat rack Wheels, designed by the Dutch designer Dirk Ploos van Amstel, are very practical. The coat hooks are wheels too. This allows the spaces between the hooks to be enlarged or reduced. It takes just a second to adjust the hooks for the number of coats. The mat epoxy coated aluminium and light ash timber lend Wheels a warm and no-nonsense appearance. 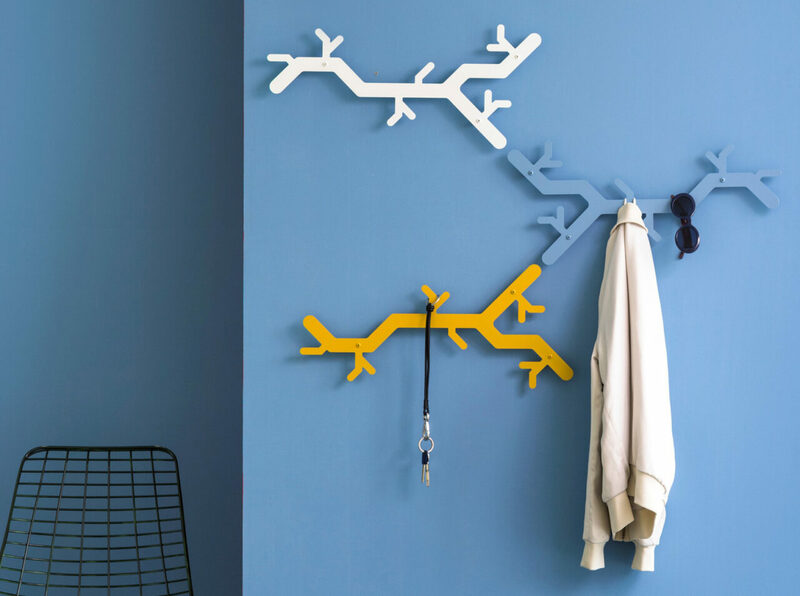 Tertio W2 is a versatile wall coat rack. 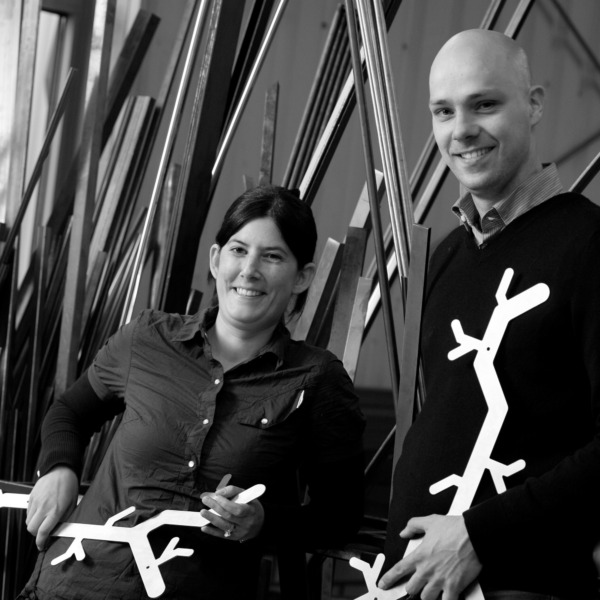 Both the hooks and the matching coat hangers are made from dark grey plastic. 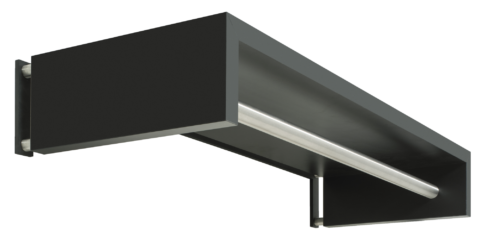 The dark grey supports are made of epoxy coated steel, and the profiles of aluminium. Tertio W forms part of the Tertio series designed by designer Gerard Kerklaan. The models in this cloakroom series can be easily combined. 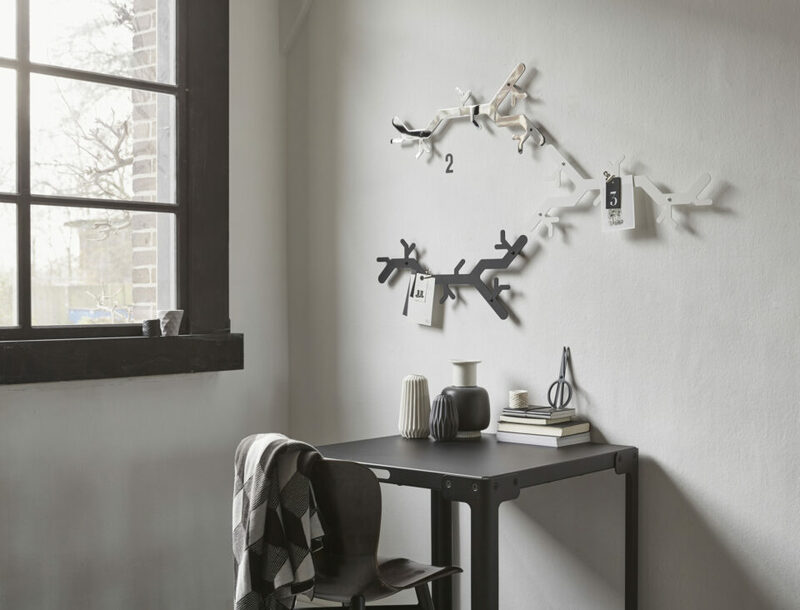 What is more effective than a row of coat hooks on the wall? 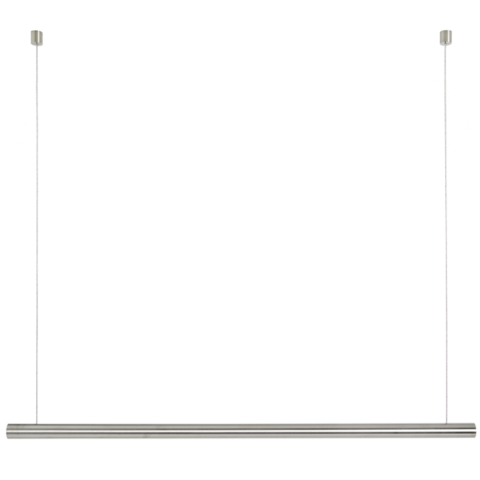 The Tertio HI makes this possible with a hooks section that is available as standard in lengths of up to 2 metres. 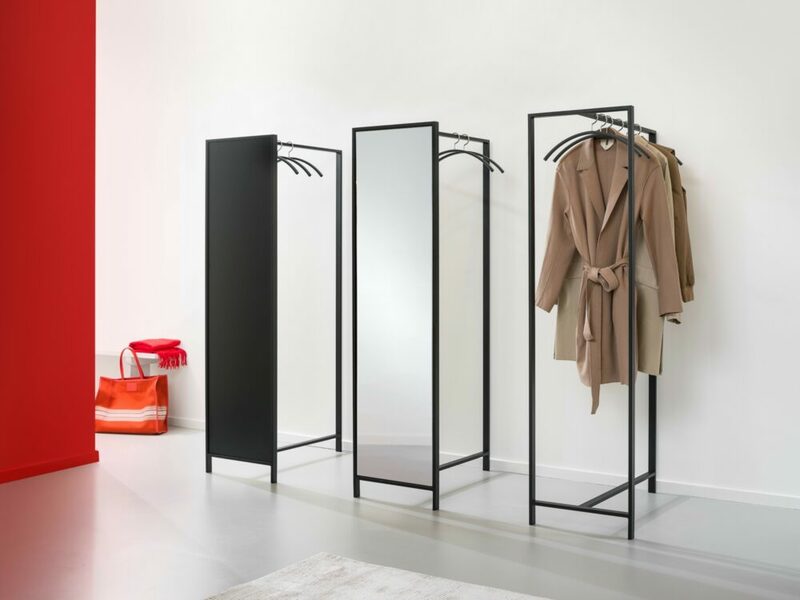 Tertio HI is part of the Tertio cloakroom range designed by Gerard Kerklaan. The transparent design makes it easy to combine the various models.